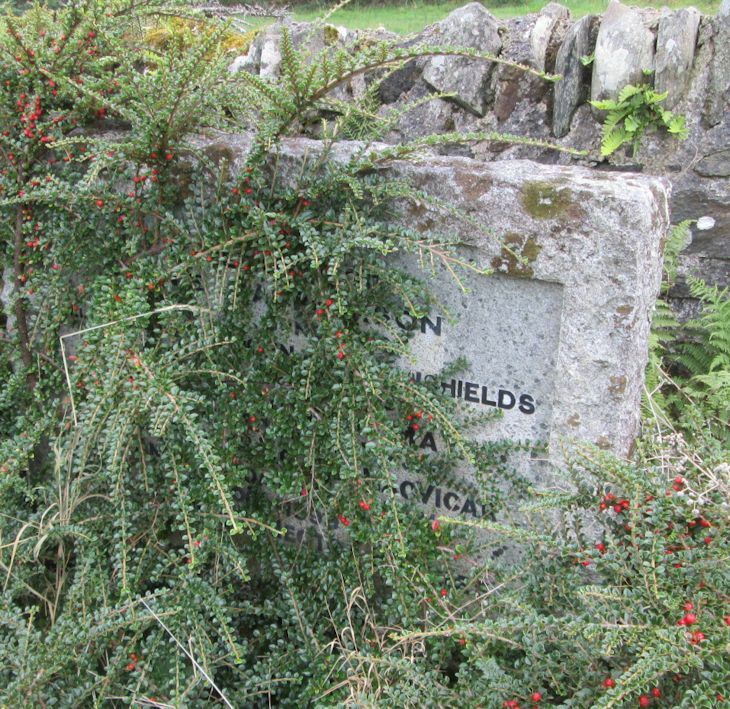 Skye Gravestones | Annie (Macpherson) & John Greenshields, d. May. Annie (Macpherson) & John Greenshields, d. May. In memory of/ANNIE MACPHERSON/died 7th June 1948/beloved wife of/JOHN A. GREENSHIELDS/who died 8th May 1953/their eldest daughter MAY/who died 21st June 1973/beloved wife of ARCHIE MacVICAR/["recent"].